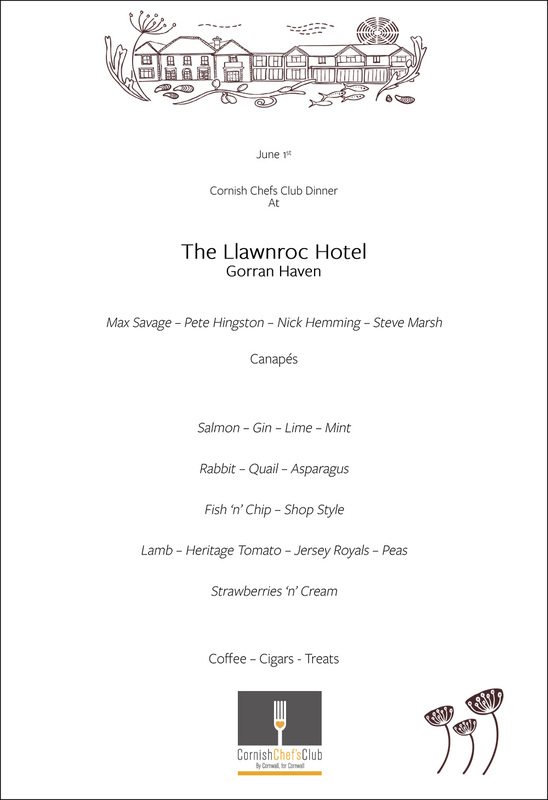 Looking forward to our next Cornish Chefs Club Dinner on June 1st. We’re a St Austell based sports events company who will be holding our 3rd event from our open water sea swim series at Gorran Haven in collaboration with the Llawnroc hotel. The event will start on the harbour beach and competitors will swim out towards and around the Gwinges (Gwineas) rocks before returning straight into the finish on the beach, a distance of approx.. 3.8km. We are delighted to have the backing of Gorran Parish Council and look forward to working together with local business owners and Gorran residents to help ensure this event is a huge success for your village. On the day, there will be lots of activity with the events team setting up the start and finish line on the beach and the registration area at the Llawnroc Hotel from lunchtime. The event will bring swimmers and spectators from as far afield as Cambridge and we will be encouraging them to spend money in the local shops, café’s and fish and chip shop. We’d really like you to come and show your support and help cheer the competitors on at the start and finish, or maybe take part yourself?! Or you can enjoy a band and a BBQ at the Llawnroc after the event. Thank you for your time and the use of your lovely beach. May is one of my favourite times of the year, the sun is shining The Birds are tweeting, and the gardens are looking spritely, and all of our favourite ingredients are starting to flourish. For the new menu well be looking at ingredients such as Rhubarb, Garden Peas, asparagus, even some early crops of strawberries. Now comes the exciting part when we get all these amazing ingredients out on the table and pair them with the freshest fish and locally sourced meats to create something magical. Dishes will be toughly scrutinised many times before they reach the table. A dish to look out for will be spring minestrone, championing some of the best ingredients in the county. We will be talking to our friends at West Country Fruit Sales, and will be using products from Canara Farm to help us formulate our menus .